A whole lot of rubbish or - "A Partial Disassembling of an Invention Without a future: Helter-Skelter and Random Notes in Which the Pulleys and Cogwheels Are Lying Around at Random All Over the Workbench." 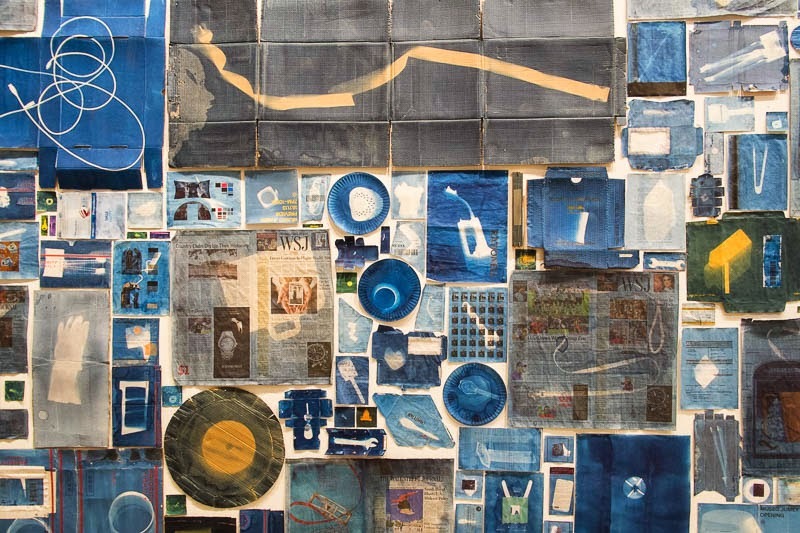 London born artist Walead Beshty, who lives and works in Los Angeles, spent a year gathering discarded paper, cardboard and pieces of wood creating more than 12,000 prints using the cyanotype process. Most of the pieces of discard materials were gathered on the walk between his home and studio. Except for the the last month of the commision when the materials were gathered near and around the Barbican where the work is currently showing. Each piece has been catalogued and photographed both front and back with the photographed images placed in a series of large art books. 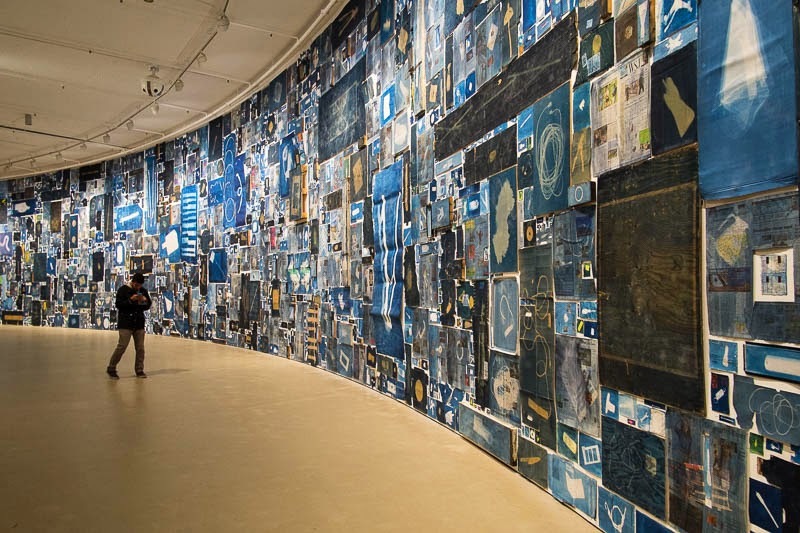 The prints themselves are methodically placed on the wall in chronological order from the day he started the project until the last discarded ticket found near the Barbican 12 months later. The work is currently showing at the Curve Gallery at the Barbican until 8 February 2015. Wow. that is a lot of rubbish, I mean art. That was quite a commitment on the artists behalf Mo. Artists fascinate me, their minds work in the most extraordinary way :) Definitely worth pulling your shots in for a closer look. A great concept. I love how artists can see beyond everyday rubbish. That's a whole lot of work! That is amazing!!! What happens to it all when the exhibition closes? This is an amazing display! Wowed! I love this interesting and nice BLUE art! Some artists like this have obsessive personalities, don't they? But it is pretty cool.